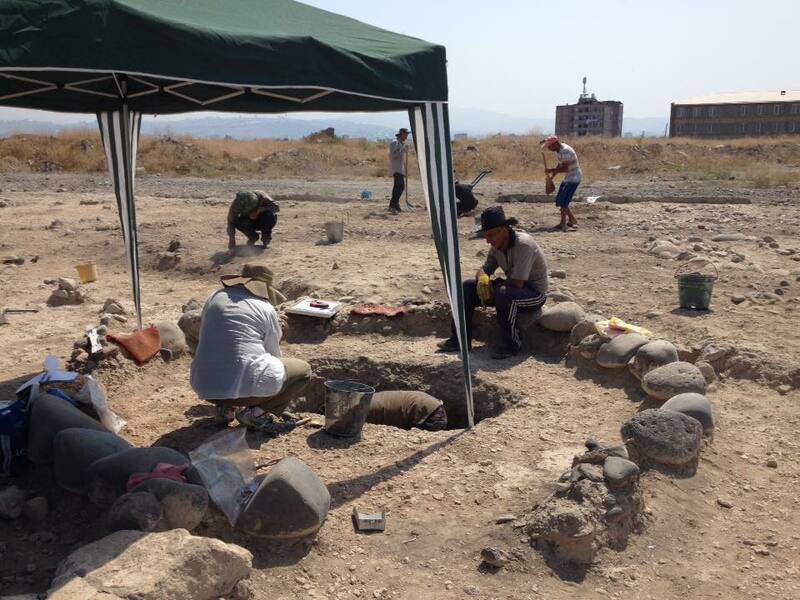 Archaeological digs at the Iron age burial site of Karmir Blur (Red Hill) near Yerevan, Armenia have been started this month in great haste to meet the 6 months deadline. 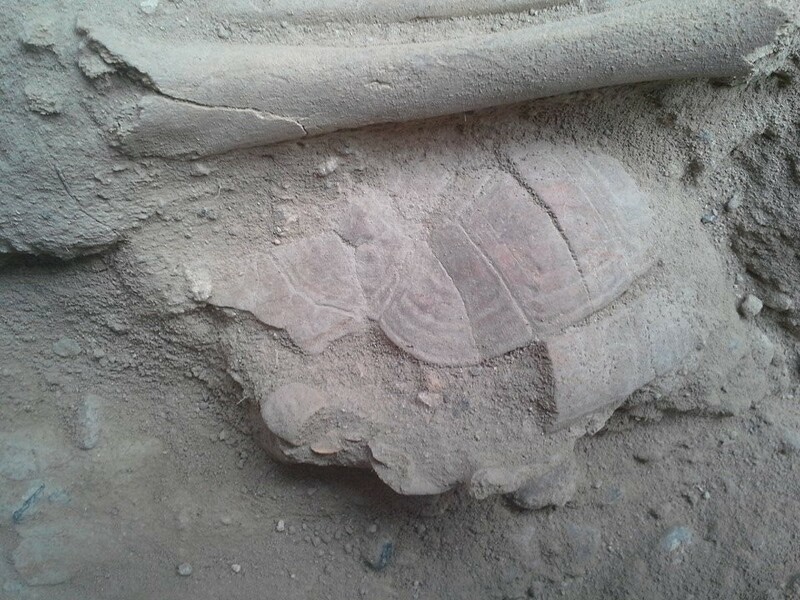 New and unique discoveries are being made daily by an enthusiastic team headed by Hakob Simonyan director of the Cultural Heritage Center of Armenia. A short distance from the excavation site there are remains of an ancient fortress once called Teishebaini after the ancient storm/thunder God Teisheba. The historic site of the city, palace and citadel together measure over 100 acres. Though there are ruins near the citadel that indicate settlement from the early Bronze Age, it was during the late Iron Age that Karmir Blur took on a strategic role in the region. It was built by Rusa II in the first half of the 7th century BC to protect the eastern borders from the barbaric Cimmerians and Scythians. The name Karmir Blur translates to “Red Hill” because of the hill’s reddish hue. 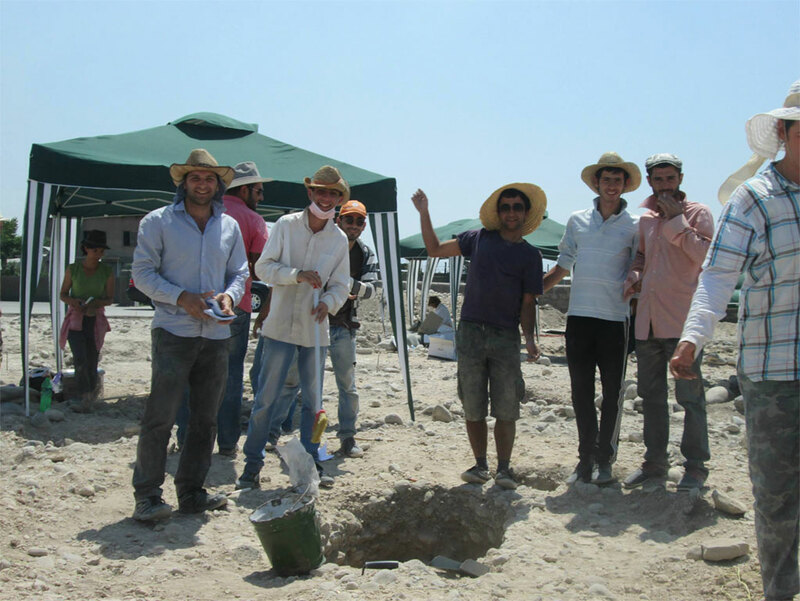 Due to a planned road construction project and the proximity to an archaeological site of Karmir Blur, the Armenian government ordered a series of archaeological surveys and excavations in the vicinity of the Charbakh cemetery, a few years ago. 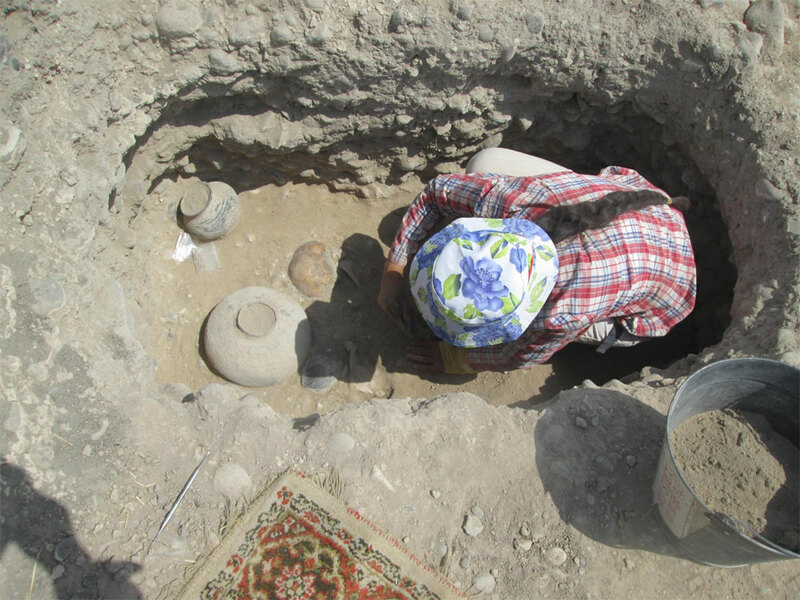 The archaeologists discovered that Charbakh cemetery and the surrounding areas once served as a burial place during the Urartu period in the 7th century BC. 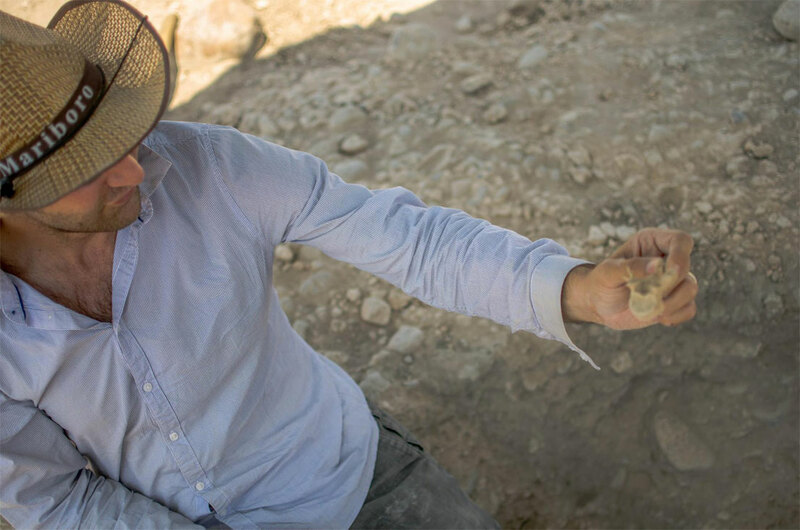 Some preliminary excavations have been made in 2013 (read here more about the discovery). Now however, time is pressing with only a few months remaining for the rescue operation to commence. The Armenian government is funding the rescue operation, but experts fear that 6 months time-frame is too short to excavate all the remaining graves before the road construction begins. The burial site at Karmir Blur is absolutely a unique discovery when it comes to Urartology and is of great importance to the history of the entire region. 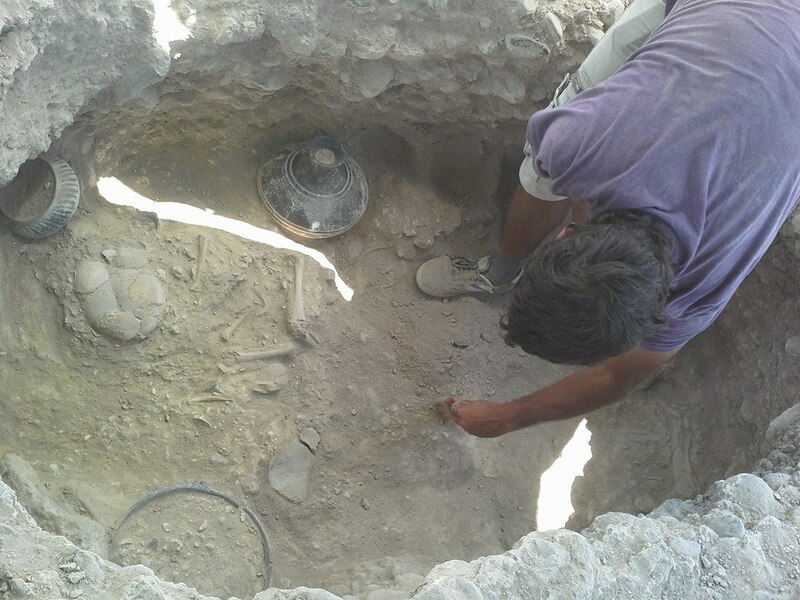 Judging from the excavations of the tombs so far, the burials belong to the general population of the Armenian kingdom of Urartu. 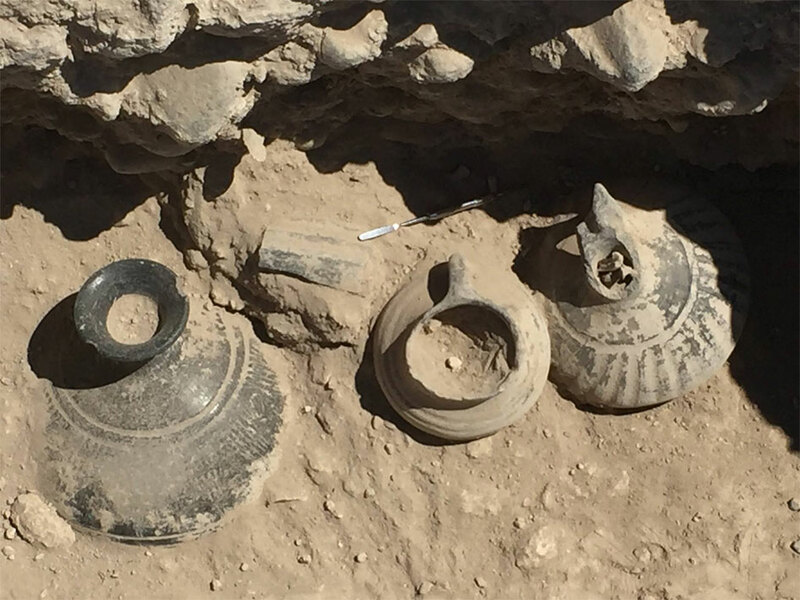 Very little of the everyday life of the general population of the Urartian kingdom has been described, and this site is proving to be a treasure trove of history. 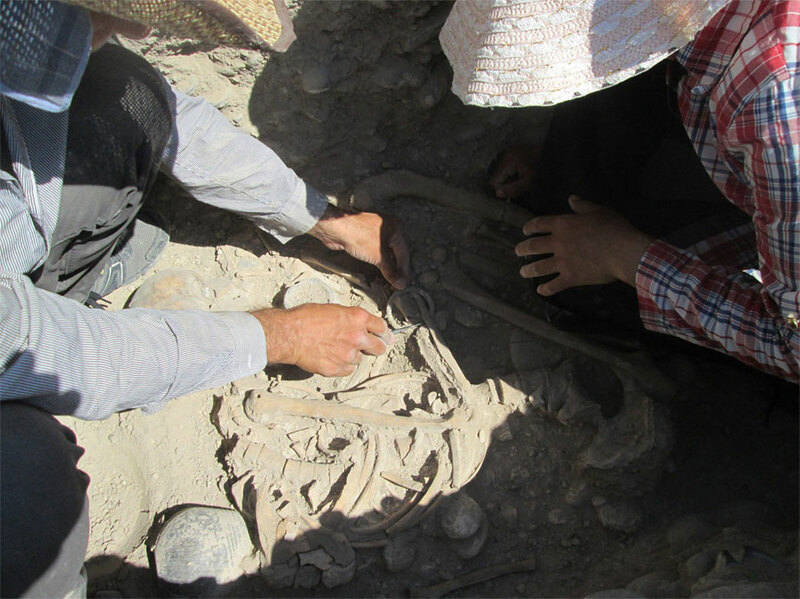 Several mass graves have been found with dismembered body parts and graves with tall warrior like skeletons. Other graves contain wealthy individuals burred with what seems to be their wives, servants and ceramic vessels and plates. 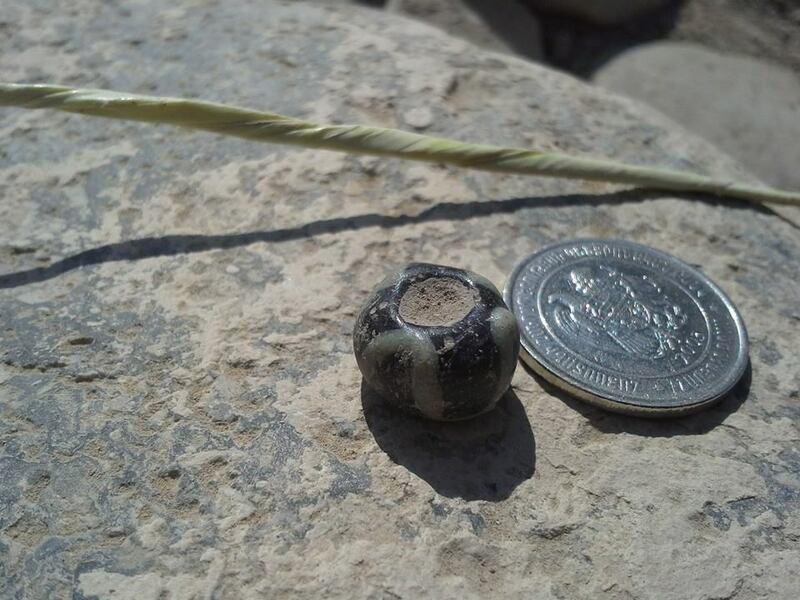 Countless other artifacts like iron daggers, a quiver with iron arrowheads, bronze bracelets and stone beads have also been excavated. 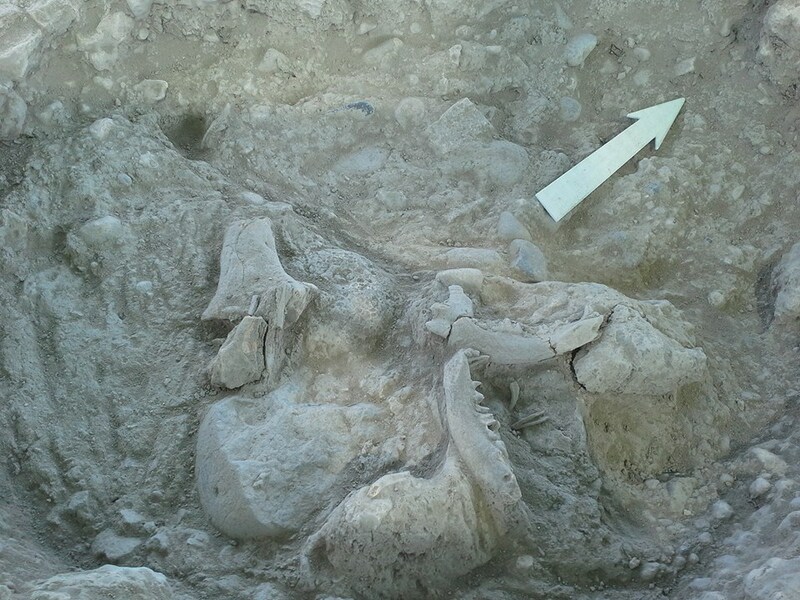 Various animal bones including a lamb, horse, domesticated dog and even a pet turtle next to a child’s bones have been discovered at the site. Interestingly, the teeth of several individuals look flawless even at their advanced age, which would indicate great dental hygiene. 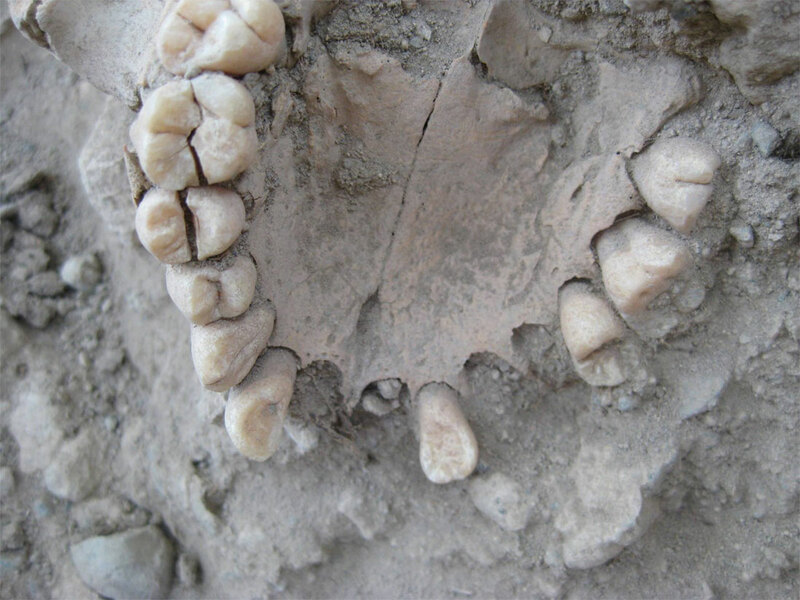 Perhaps due to lack of sugary diet and a pastoral lifestyle with a lot of calcium consumption would explain such greatly preserved set of teeth?! This is the first Iron Age site that is representative of the general population of that period, which is very exciting from the historical perspective. After excavating the bones, experts move them to the lab, clean and prepare for storage. DNA samples will be extracted for future studies on ancient DNA, which could shed much needed light on the population history of the region. 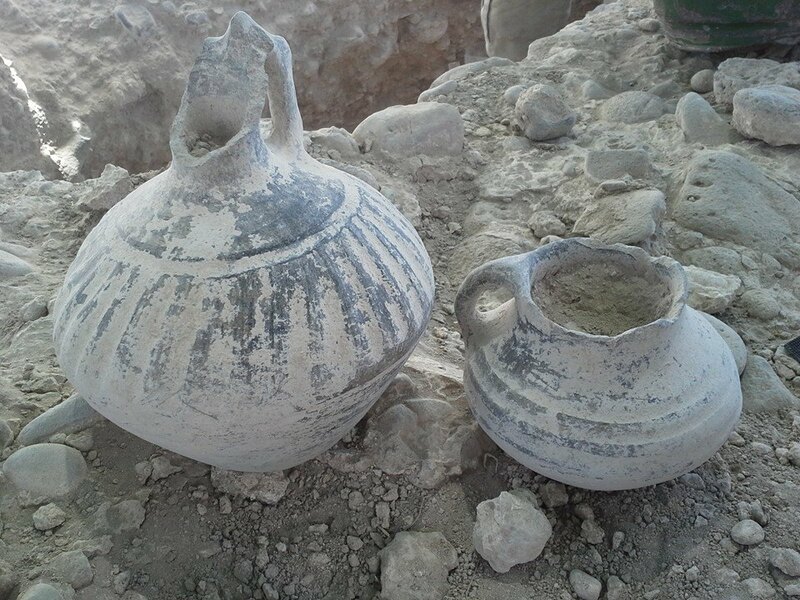 For now, we’re working with the Armenian government, which finances us by the way, to be more flexible with their given time and allow us to uncover as much of this rare treasure as we possibly can. Previously it was reported that beneficiaries of the road project have promised that no historic monument will be destroyed and the road will be constructed only after the area is fully investigated. We remain hopeful that the promise will be kept and if needed the excavation time be extended. 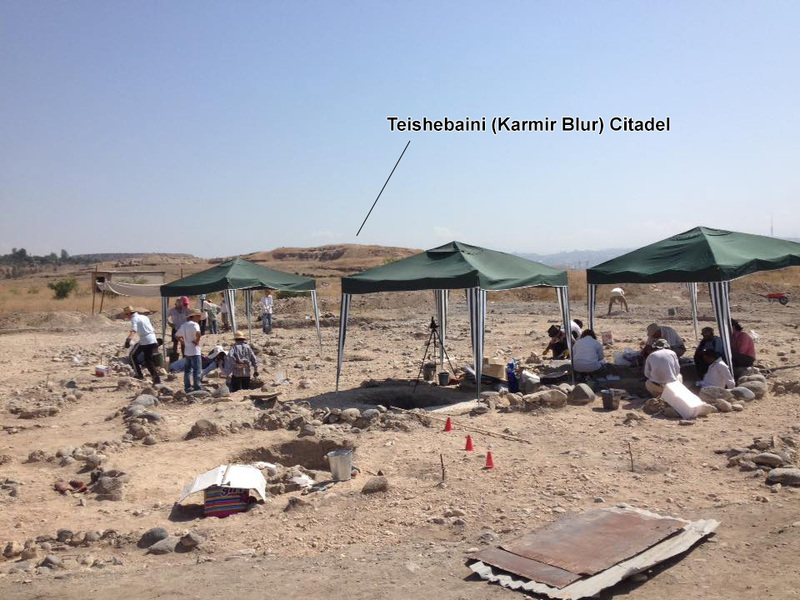 You can follow daily updates of the excavation on Armen Martirosian’s facebook page. See bellow some more images from the excavation site. 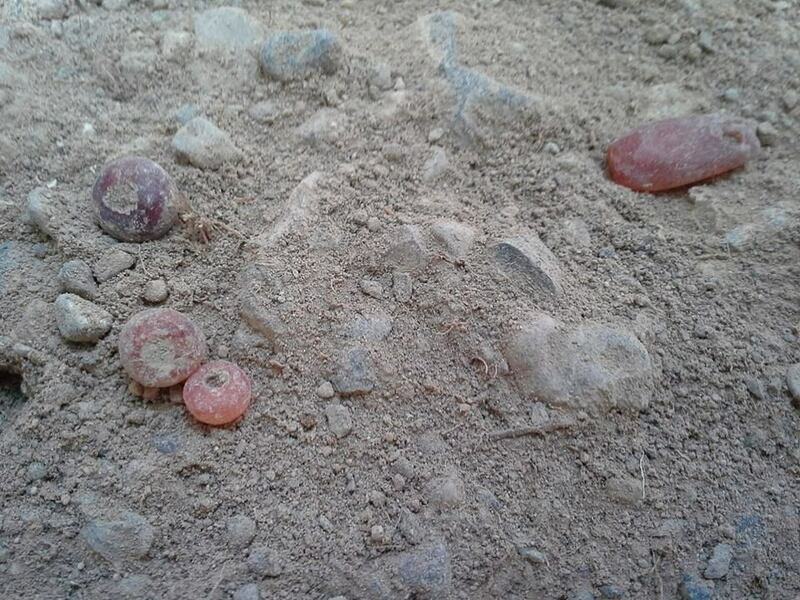 Carnelian beads found in the bottom of a tomb.